Well being on “the wheel” you’ll notice at times that in your notifications you’ll get a surge of new followers. For myself I haven’t seen or been on “the wheel” in a long time. So they might’ve changed the whole process or there are so many people who are suggested users that the wheel may be rather large to go around. Hi there! The ladies of the Facebook Poshmark User Group are loving your posts. We’d be super happy if you’d join us. If you do, please let us know you’ve arrived and are the writer of this great blog! How’s it going Ria?? Getting better?? Just checkin in! Great article and great tips! It was pleasure to read this, definitely going to keep in mind 🙂 Maybe you have some great tips for Vinted app too http://www.vinted.com/ ? That would be awesome! Hey girl!! I love Vinted, however I am just focusing on Poshmark right now. My sales are skyrocketing on Poshmark so I like to keep all my inventory where I’m making the most money on. My experience on Poshmark is 10 fold compared to any other app on the market! If you are looking to sell I would start to put all your eggs in one basket because if you spread yourself out too thin, you’ll be working so much harder than what you’re getting back in sales that’s what I felt like before just put all my efforts into Poshmark, now I’m stress free but with all the sales! Hope that helps and I hope you make the switch over! Thanks a lot for your detailed answer. 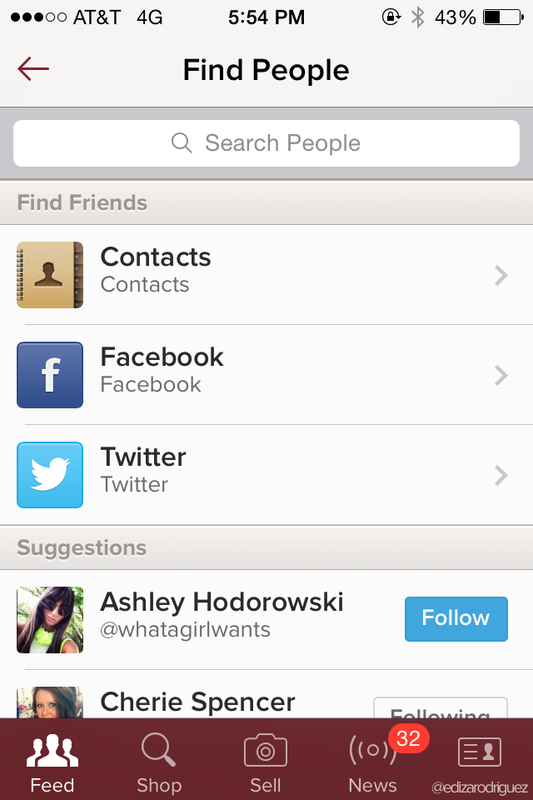 I have a question for you: How did you get the poshmark widget? Hi Ediza! Thanks for elaborating a bit more on what the role of a Suggested User is! I kind of figured they were part of the “elite” group of seasoned Poshers who were available to mentor and help the “newbies” and even those who’ve been on Posh for awhile now. When I first started about 3 months ago, I felt like a fish in a big ocean trying to find my way around, lol. Poshmark puts out great FYI stuff but I’ve learned more from the actual “doing” of it vs. reading about it. Now, I’d love to see you write an article about the “secret” to getting one of your listings chosen for a host pick. We all know what it is but it’s how to get it! One Saturday morning I was wondering do I have to have a connection or get on someone’s “hot list” to get my closet recognized and getting my name out there? Out of all the topics I’ve read on multiple comment threads, this is the one thing that’s brought up the most. To be honest, initially I thought Posh was a bit of a “clique” because I kept seeing the same 50-60 names daily over and over again! I finally and very persistently chose a random pro Posher to voice my unhappiness over this.. So then she tagged me onto others to take a look in my closet.. Then I got many replies which ultimately led to me getting 2 HP’s in one week. I then asked a gal who has officially become my “go to mentor” to tag me whenever she becomes aware of an upcoming Posh party and the hosts doing the party. I can definitely tell the difference now since getting those host picks. One of them has already sold and my sales have really started to pick up, yay!!! So as I’ve played detective here on this, how in the world will a very, very new Posher know what to do to get the attention that they may really need especially if they’ve got an awesome closet? I’d love to hear your thoughts on these concerns.,, Once again, another great article!😊👍 Kindly, Dorothy/lakeforest ( I picked that name cuz I grew up in Seal Beach, CA. Then bought a home in Laguna Hills, and my nephew and his wife & kids lived in Lakeforest 🙂 soo I’m an OC gal at heart even though we’re in Vegas now!